One of the basic things every traveller coming into not just Nigeria, but any other country as well, is the currency. 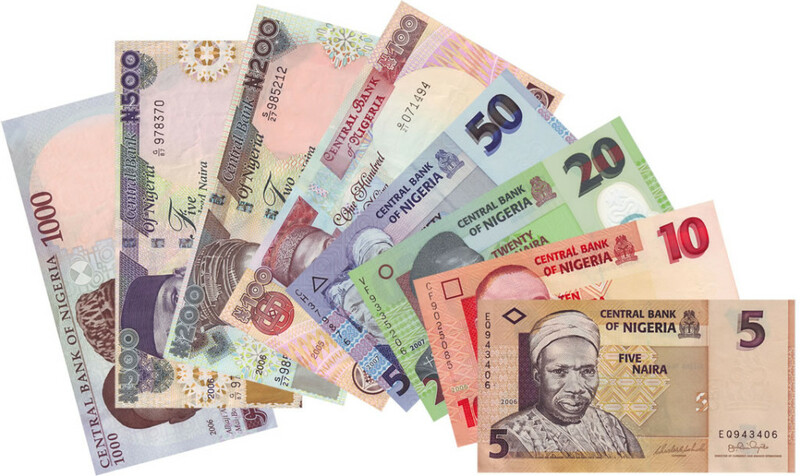 Transactions in Nigeria are not done in foreign currencies, but in the local ones known as Naira and Kobo. The Naira (N) was introduced in 1973, when Nigeria decimalized its monetary system and subsequently replaced the Nigerian pound (the currency in use when it was under the British colony), which was divided into shillings. The Central Bank of Nigeria also known as CBN is the institution granted the sole authority to issue banknotes and coins. Coin denominations range from 1/2 kobo to 1 naira, while banknotes are denominated in values from 5 to 1,000 Naira. The Naira is divided into 100 kobo. Most of the Naira notes contain images of previous political as well as military leaders who have led in Nigeria’s history at one time or the other. The Five Naira note for example, has the image of Sir Abubakar Tafawa Balewa, Nigeria’s first prime minister, while the 1,000 Naira note has the images of both Alhaji Aliyu Mai-Bornu and Dr. Clement Isong, who were both at different occasions in the history of Nigeria Governors of the Central Bank of Nigeria.